Lynton &Lynmouth will once again offer the most beautiful backdrop for some of the most stunning cars in the South West. Over 300 cars will roll into town, Super Cars, Classics, Vintage, Bikes and even Tractors - vehicles for everyone. With stalls and activities for the family and touring car clubs throughout the day this is not your typical Classic Car Show . A real family attraction and this year destined to be bigger and better again - visit one of the UK's best classic car shows. The starkly classical exterior of the Regency house gives no clue to what lies inside –an ornate yet homely interior boasting an Aladdin’s cave of collections, recently redisplayed to share the passions of the Chichester family including sea shells, model ships and pewter. Other highlights include a hidden masterpiece by William Blake and the beautiful Beauvais Tapestries. 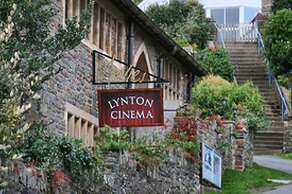 Lynton Cinema is open daily except Christmas Day. It has appoximately 70 seats with full Dolby digital projection equipment. 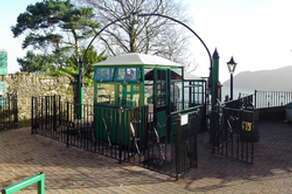 Lynton is the smallest town in England to have a full time cinema. It is listed amongst the Top Ten best independent cinemas in the country. 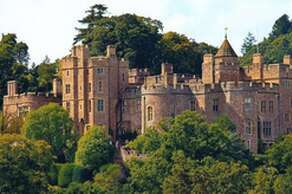 Dunster Castle dominates a steep hill overlooking the picturesque village of Dunster. The hill has been fortified since Saxon times, although nothing now remains of these early defences. During the early medieval period the sea reached the base of the hill offering a natural defence, and strong walls, towers, ramparts and outworks protected the other sides. In the late 14th century the castle came into the possession of the Luttrell family, and remained in their ownership for the next six hundred years. 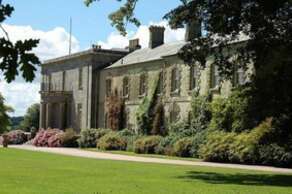 The house was modified and developed over the following centuries, and much of the current appearance dates from the 18th century when the park was landscaped and the Green Court, terraced grounds and follies were created. Much of the furniture in the house also dates from this period.